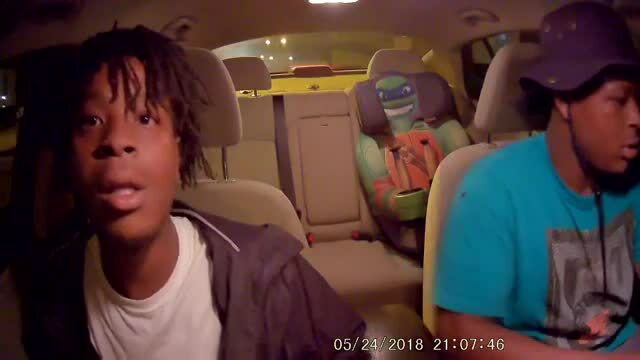 Police have asked the public’s help in identifying two carjacking suspects who were seen on the vehicle’s dash camera. Metro Nashville Police officials said the victim was carjacked at gunpoint near his apartment on Hickory Hollow Place in Antioch. He had just parked his burgundy 2015 Kia Optima -- with Tennessee license plate W5481X -- when he was approached from behind by a gunman. He and another suspect demanded his belongings, got into the car and drove off. Police said the victim complied their demands. 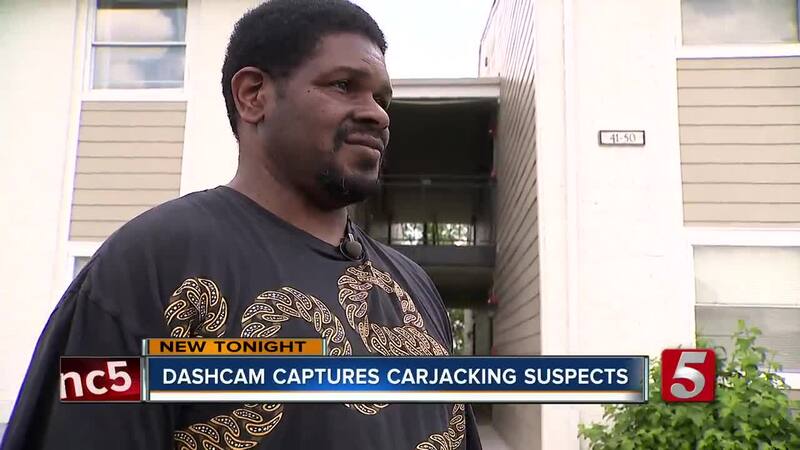 The vehicle was equipped with a dash camera, which recorded the suspects. Police said it has a large dent on the passenger side door and has Lyft/Uber stickers on the passenger side front windshield. The victim, John Scoggin, showed NewsChannel 5 the dash cam video of two men driving away in his vehicle. They stopped so one of them could pick up the cell phone left on the ground. Seconds later, the passenger realized a camera was pointed at them and frantically removed it. "I was walking out and I heard somebody say to empty everything out of my pocket, and I turned around and had a gun in my face," recalled Johnny. Johnny, an Uber driver, told NewsChannel 5 he was not hurt. He said aside from his cell phone and car, his wallet and keys were also stolen. His wife, Satena Scoggin, is also an Uber driver and bought the same dash camera that captured the crooks out of safety purposes. They are thankful that the suspects threw the camera out of the car so they would be able to pull the video. Satena said it automatically starts recording once the vehicle is turned on. "It was the best $108 I've ever spent," said Satena. "Just for any reason we wanted to make sure we were always covered." The Kia was the family's only mode of transportation. The following morning, they were forced to get a rental car. "We don't have much but that car was everything. We have nothing now so we will have to depend on an Uber or Lyft to get us around," she added. However, it was found at an apartment complex on Ben Allen Road Friday afternoon, but the suspects were not found with it. Anyone who recognizes the two suspects or sees the Kia was asked to call Crime Stoppers at 615-742-7463. Callers can remain anonymous and qualify for a cash reward.